Posted February 12th, 2019 by Kirti & filed under Amazon Ads, Negative Keywords, Product Updates. Similar to popular search advertising platforms like Google Ads and Bing Ads, Amazon Ads offers account structure where campaign is an advertising unit with few settings that are applicable to it. Often, the negative keywords are specified at campaign level to block traffic across all the underlying keywords. When you create a fresh campaign, you may want to start by copying settings from one of the existing campaigns and then make adjustments specific to the new one. Most likely, you want to carry over some common negative keywords too and assign additional negative keywords that are relevant to the new campaign. Now, as your business grows so does your campaigns and negative keywords. Now imagine, you introducing a new negative keyword which is common across select campaigns? 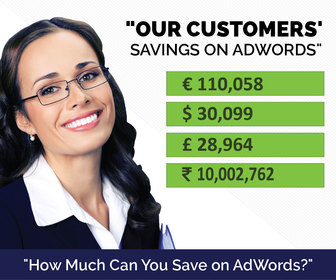 You need to then add that negative keyword to all the campaigns manually. Similar step needs to be done to remove negative keyword from multiple campaigns. As you go on modifying and adding new keywords you tend to lose track of where you added and where you missed. You might find it tiring to sync the keywords across the campaigns. As you can imagine, maintaining parity of negative keywords across campaigns can quickly become tedious. Google Ads and Bing Ads provide a solution to make this task easy. With these ad platforms, you can create a shared negative keyword list. You can then add negative keywords to this list. You, then, associate this list to a campaign or a set of campaigns. The negative keywords in the list become effective for all the campaigns which have that list associated with them. 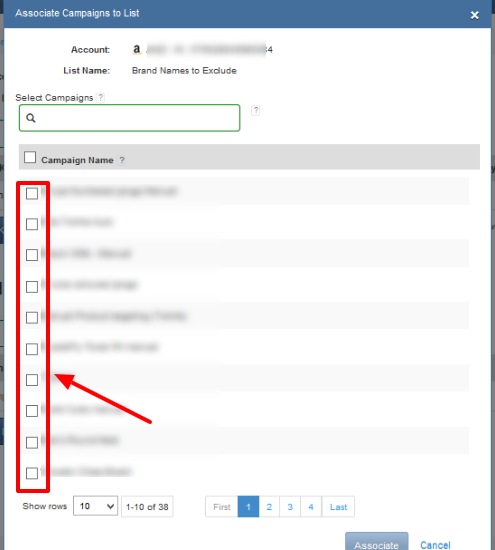 One can associate multiple campaigns to a single list. In addition, a single campaign can have multiple negative keywords lists associated with it. 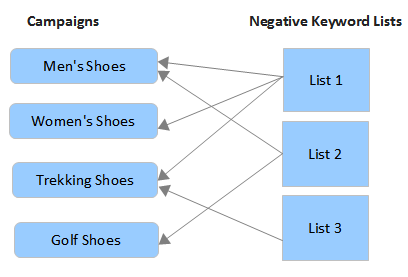 It shows how campaigns are interconnected via Negative Keywords Lists and how it simplifies a key task of adding negative keywords across multiple campaigns. Moving on, it’s likely that if you are managing Amazon Ads, you probably have an experience in managing search ads with Google Ads and Bing Ads. So, you are likely to be already familiar with use cases of shared negative keywords lists. We don’t need to go great lengths to explain why you need negative keywords lists. The convenience of the shared negative keyword list has been missing from Amazon Ads. We at Karooya have built ‘Shared Negative Keyword List’ for Amazon Ads. Here’s how you can use the shared negative keyword list feature with Karooya. 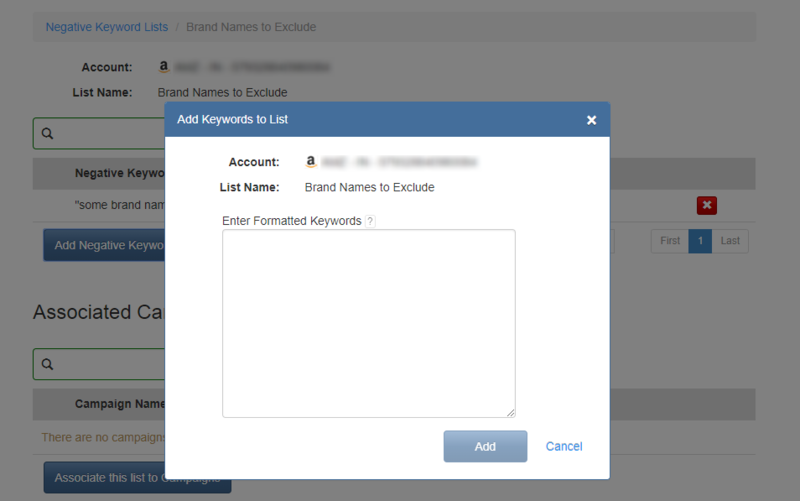 Step 2: Create a new shared negative keyword list. Give it a good name. Some examples could be “Negatives – 3rd Jan 2019” or “Brand Names to Exclude” or “Poor Sales Terms”, etc. You can add some negative keywords to it and save the list. Answer: No changes are made to your Amazon Ads account when you create a shared negative list with Karooya. However, when you associate a shared negative list to a campaign or few campaigns, then all the negative keywords in that list are added as campaign-level negative keywords in your Amazon Ads account. When you add a negative keyword to the shared negative list, that negative keyword is then added to all the campaigns associated with that list. Essentially, you make one change and it gets replicated in all the associated campaigns. Sounds simple? We have tried to make it simple to use (although, there is A LOT of heavy lifting going in the background.) We hope you find this feature very useful, just like some of our early customers. Sign up with us to use this feature. Give it a try and let us know your feedback. We look forward to hearing from you.